Tips in familiarizing which steps to take in cleaning carpets effectively. Learn how to take care of your home rugs and carpets! Find out how to deal with related problems, remove stains and bad odors, and keep them in excellent condition for years. You will find the best solutions here below! Smart carpet and rug cleaning tips for everyone! Simply written and easy to read. Facts that will help you in keeping your carpets clean and in good shape. Tips below for maximum output. There are two types of flokati rugs in the market. The authentic handmade ones and the machine made. The latter ones come out in many colors while authentic ones come in off white. Synthetic materials are easier to clean. You can even throw them in the laundry. Experts of Carpet Cleaning Novato draw your attention to authentic flokati rug cleaning. They need to be hand-washed. If you want to store rugs, make sure they are stored in a dry, safe place. 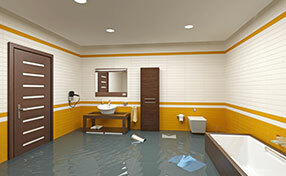 Basements are not recommended because a flooded basement might damage rugs seriously. Put them in a closet or under the bed. Before you store them, rug cleaning is required. Then wrap them with clean, cotton sheets. If you cover them with plastic bags, let them breathe by opening small holes. If you can't persuade the rest of your family to take the shoes off before entering the house, at least use good quality doormats at all entry points. This way, your carpets won't get stained from mud or grass. Bacteria can be easily transferred with shoes and nestled down among fibers. 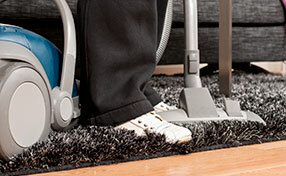 Carpets will remain cleaner, you will stay healthy and carpet cleaning will be easier. Negligence is probably a carpet's worst nightmare. Even if you haven’t spilled anything on your carpets, they won’t stay immaculate forever. Over time and use they will discolor and fill with dirt, mildew and mold which will slowly destroy it. Try and opt for a carpet cleaning service at least one a year, twice if you can, and make sure to vacuum once a week. This kind of bleach is extremely strong and can cause damage to both the grout and the tiles that it holds together. In general, you should try other solutions before resorting to bleach. A solution with equal amounts of warm water and white vinegar may help. It can be applied with a stiff-bristled brush which is especially designed for cleaning grout.